Click here for a map and directions to the gallery. 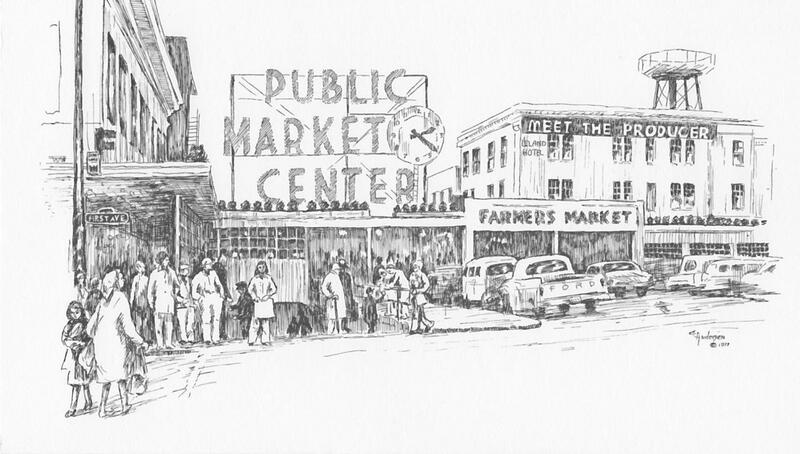 Established in 1965, the historic Art Stall Gallery is an artist-owned destination for fine art lovers and tourists located in the vibrant Pike Place Market. 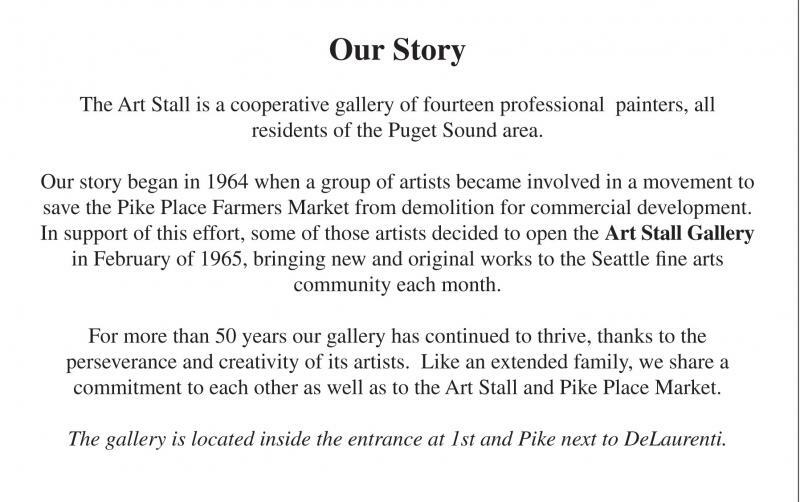 A dedicated group of thirteen professional artists, The Art Stall Gallery brings new and original works to the Seattle fine arts community each month. 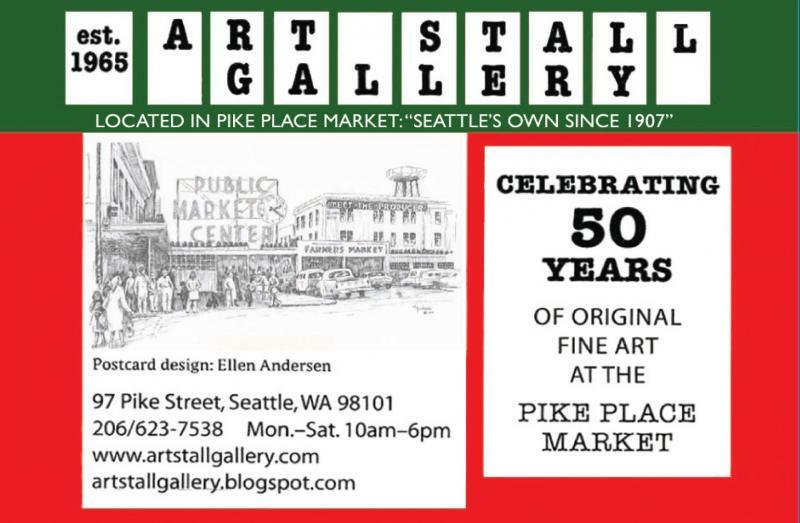 Conveniently located, The Art Stall Gallery is just inside the main entrance of the Pike Place Market at First & Pike, between Pike Place News and Pike Place Fish. Also open Sundays May through September.